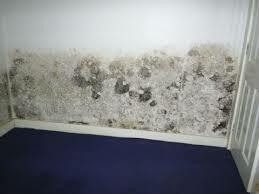 I am often asked to look at “damp problems” in houses. This is more prevalent in rental properties or houses of mass occupation. Most of these problems are lack of ventilation. I have recently visited properties with windows sealed with silicone & air vents taped up. In these properties there can be a washing line drying wet clothes in every room, along with wet washing on every radiator. This problem is not only found in rental properties, many bathrooms & Kitchens can also be a place that this fungus can grow. I have found this article on a professional painters & decorators forum, which explains the cause and more importantly the dangers of not controlling mould growth in your property. I’ve been treating black mould growth this summer in student housing and having talked to a few decorators it is apparent that there is a lack of understanding on this problem. As insulation and air tightness of buildings will have to improve under government legislation, It is possible we will see an increase in black mould in many buildings, especially the rental sector where tenants fail to effectively manage condensation in their homes. The black mold is toxic. So toxic, that some reports claim the same bacteria found in homes has been used in germ warfare! I’ve spoken to a few decorators about it and some understand the need for additives while others recommend a good coating of gloss will obliterate it. A lot ignore it altogether. 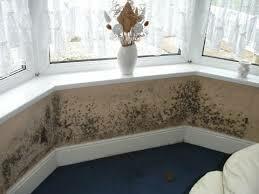 As decorators we are on the front line of this problem with many householder’s turning to us for advice. So, I will share these findings with you. Black mould (Stachybotris Chatarum) grows on wet organic materials. 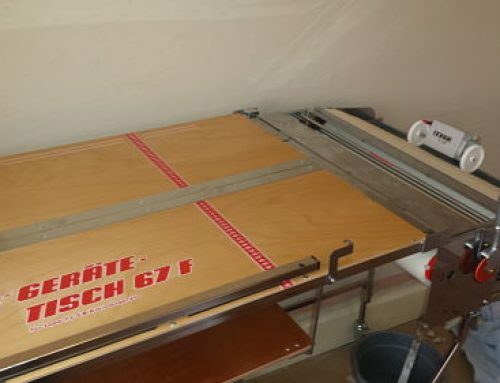 It’s favourite being cellulose materials such as plasterboard, timber, insulation and wallpaper. The main point being it grows ON the surface. It does not emerge from within. So a good coating of gloss will just give it a new surface to grow on. The main source of water in buildings is predominantly condensation caused by insufficient ventilation. Daily activities such as cooking, drying clothes and even breathing produce vast volumes of water vapour. As buildings get better insulation and more airtight this vapour struggles to leave the building so it condenses on a surface that is equal to or below the “dew point” temperature. For those not aware, warm air can hold more moisture than cold air and this vapour will condense into liquid when the air or any surface cools to the “dew point” temperature. The air can cool atmospherically or it can cool on a surface. For example we’ve all seen water on the windows during the cooler months. This is because glass, being a poor insulator, cools more quickly than other elements in the room. This means it is the first element to reach the “dew point” temperature and so it is the first to show liquid. The mould cannot grow on glass because it’s non organic so it commonly grows at window reveals and ceiling / wall junctions of poorly insulated eaves that form “cold bridges” through the construction elements . So, you’ve a cold spot, some water and cellulose rich wallpaper and paste. A perfect breeding ground for germination and all under the decorator’s field of expertise. I’ve successfully treated the growth and monitored it over the years to such a point that the condensation occurs leaving clear water marks but the mould does not grow back. 3. Add mixture to paint.